The Skyscraper is the largest independent production facility in Norway and contains audio and video production stages as well as office space for 17 companies who are united under one brand. The concept for ‘Skyscraper’ was to create a corporate profile that would be an instantly recognizable part of the urban landscape, and which symbolically lift both customers and employees to new heights and results. 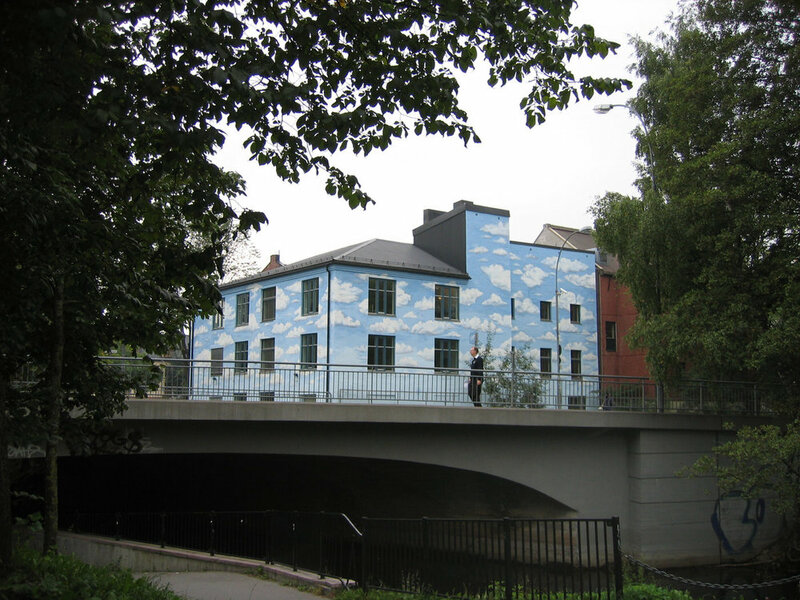 A somewhat drab three-story brick building was transformed into a visually arresting cloud-covered landmark. The building embodies the idea that you can be small, but still have epic ambitions. The Skyscraper is a good example of how applying branding approach to buildings can inspire both customers and employees.